George Obama, US President Barack Obama’s half-brother, is making his film debut in a documentary where he talks about his non-existent relationship with his relative who is the most powerful man in the world. 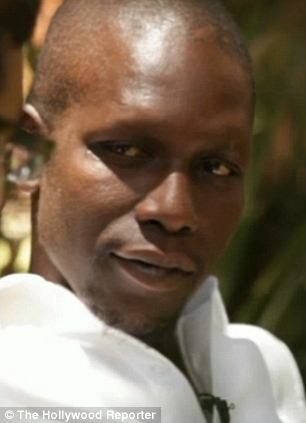 George Obama, 30, lives in Nairobi, Kenya and first came into the public eye in 2008 when his half-brother was a rising presidential candidate. At the time, he was living in a hut in the slum neighborhood of Haruma, which prompted many critics to deride Barack for not providing financial support. In his interview with conservative journalist Dinesh D’Souza, who based the documentary off his book, The Roots of Obama’s Rage which focuses largely on the President’s views on colonialism, George Obama keeps his comments about his famous relative fairly positive. In a clip released to The Hollywood Reporter, Dinesh D’Souza asked whether he felt dejected that Barack Obama has never offered to help George, but he simply brushed such claims aside. “I think he has a family of his own, he’s supposed to help his family,” George Obama responded. The journalist didn’t let go, saying that they are blood relatives which should entitle him to be considered a part of Barack Obama’s family, but George still didn’t take the bait. “Yea, I’m part of his family, but I’m over-age so I can help myself. George Obama says that when he was five or six years old, he met Barack briefly. “I was just surprised- he is some half white guy,” George Obama said in a clip from the documentary. Barack Obama was born in Hawaii by his mother Ann Dunham, who was white with various European ancestry. The two men share the common bond of their father, Barack Obama Sr., but even that was not very strong because of their age gap. Barack Obama is 50-years-old while George is only 30-years-old, and Barack Sr died in a car accident just six months after George was born. The President reportedly has seven half-siblings on his father’s side- including George Obama, though the paternity of two of his reported half-brothers, named Abo and Bernard, is questioned. In the documentary interview, George Obama said that he remembers little about his father except the stories that his mother told him. “He was really educated,” George Obama said of his deceased father. That said, George Obama did write a book, entitled Homeland, which was published in 2010. While many conservatives- including the interviewer- were likely hoping for a more controversial and damning take on his half-brother, George seems to be one of the least problematic members of the wide-ranging Obama family. By comparison, Barack Obama’s “lost” half-uncle Omar Onyango was arrested for driving under the influence which was coupled with an outstanding deportation warrant.